Warframe’s latest cinematic quest launches soon, and a new trailer for The Sacrifice gives us a (tiny) taste of what to expect from the upcoming update. Don’t expect much detail – even last year’s TennoCon teaser was a bit more concrete – but do expect to dive in for yourself soon, because The Sacrifice launches this month. You can get into some excellent games without plunking down an entry fee – here are the best free-to-play games on Steam. More practically, the site does confirm you’ll have to complete the Apostasy Prologue mission – currently the final main quest – before jumping into The Sacrifice, though that’s likely unsurprising. 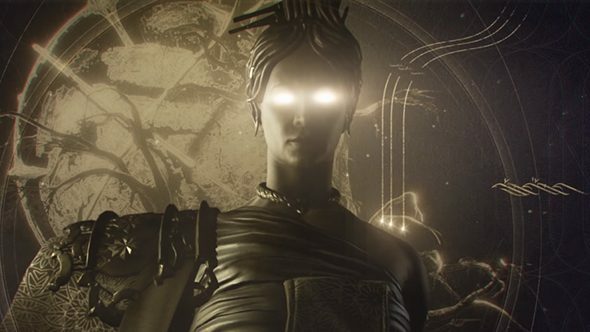 We do know that this quest will introduce the Umbra Warframes, which should prove a cool (and shadowy) set of additions. The Sacrifice is scheduled to launch in June, so it won’t be much longer before it’s all at your fingertips. To make the last stretch of the wait a bit easier to bear, you can get some free goodies with the promo code OLDFRIEND, granting an Orokin tea set decoration and 3-day affinity booster.